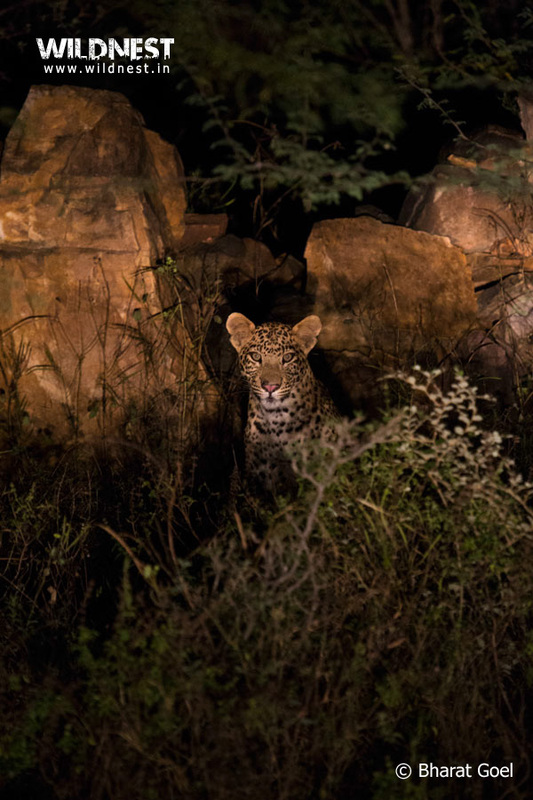 Sariska Tiger Reserve is more than just a reserve that tigers and leopards inhabit. It is also known as the peacock sanctuary, as it has the highest density of peacocks among all reserves. 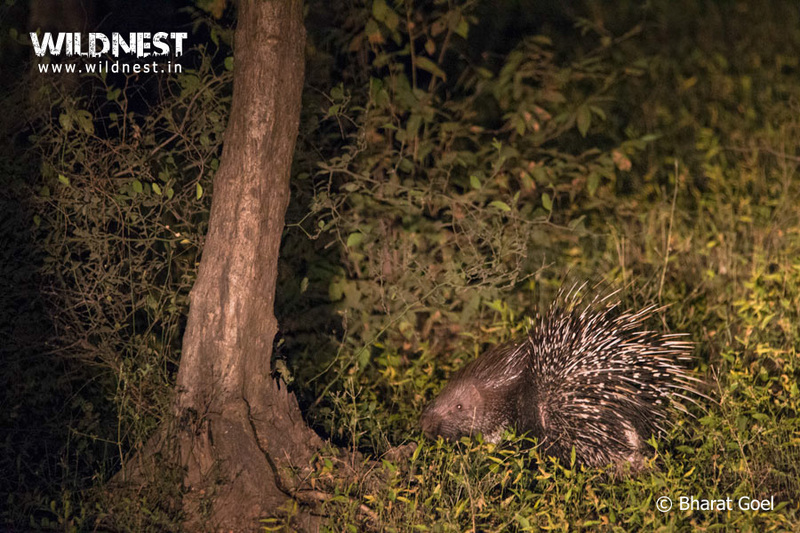 This park also boasts of a high density of sambar deer, nilgai and chital and therefore an ideal place to capture them in various moods with the camera. Sightings of hyenas, a rare nocturnal animal, are also good here. It is an excellent place to spot vultures. It is also a place of great religious and historical importance. A Hanuman temple at Pandupol which is situated in the middle of the forest. This temple has great belief among the locals hence it attracts a lot of pilgrims. 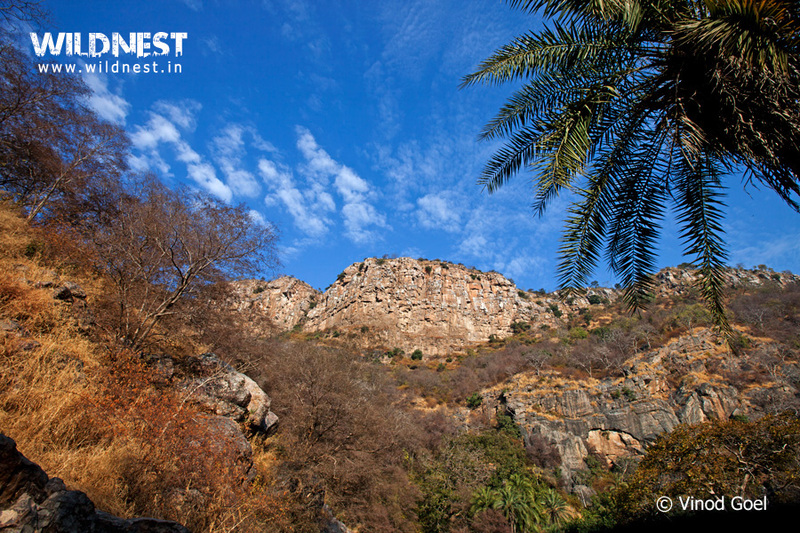 Narrow valleys and sharp cliffs of the Aravalis form the landscape of Sariska. The forest is deciduous and dry and the most common type of tree is the dhok (Anogeissuspendula). Siliserh Lake present on the fringes of Sariska Tiger Reserve, add to its beauty and diversity. Animals include Royal Bengal Tiger, golden jackal, striped hyena, caracal, jungle cat, leopard, nilgai, chital, sambar, chinkara, four-horned antelope (chousingha), hare, wild boar, Hanuman langur, rhesus macaque, etc. and some reptiles. 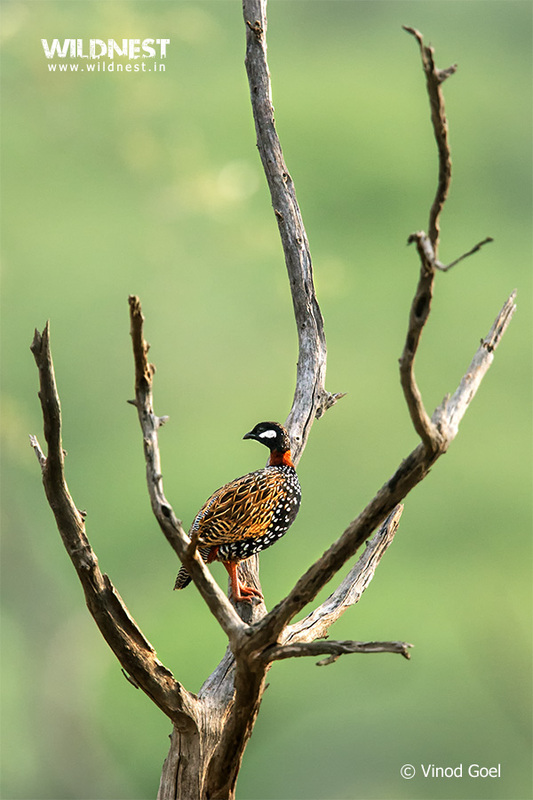 While the birds that can be spotted include the Great Indian Horned Owl, golden-backed woodpeckers, crested serpent eagle, bush quails, sand grouse, grey partridge, tree pie, peafowl etc. Primarily, dhok tree is found in Sariska. Other trees that can be seen are salar, dhak, kadaya, gol, khair, ber, banyan. One can also see Arjun tree and bamboo at some places. Lots of shrubs are present such as Adusta, kair and jharber. 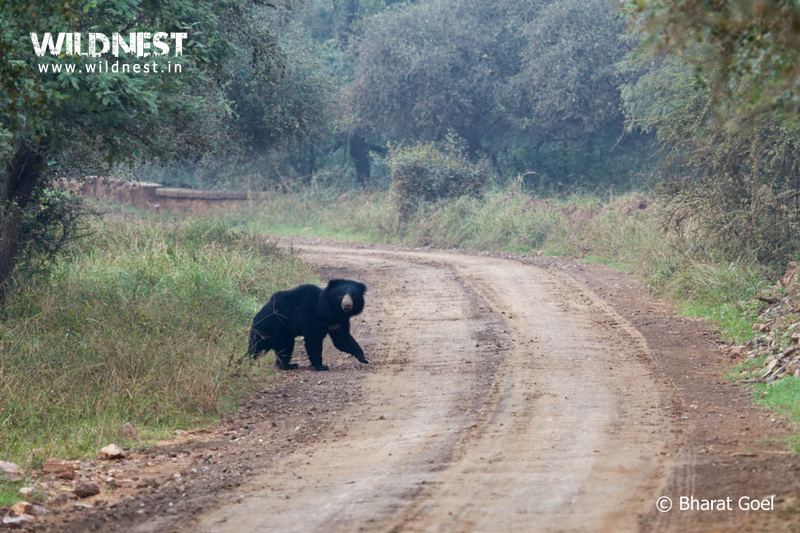 The Climate of Sariska Wildlife Sanctuary can be described as extreme. 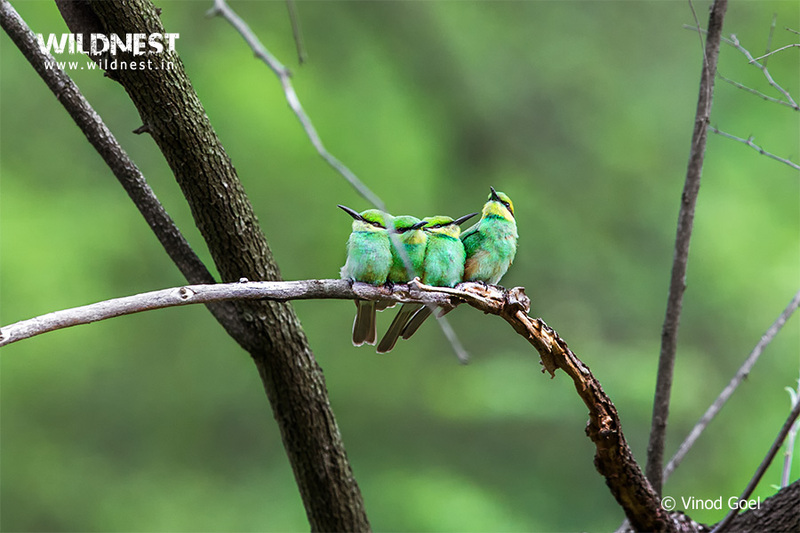 The summers at Sariska are very hot with an average temperature of 38.4 degree centigrade. Max temperature goes up to 49 degrees. However for those who are willing to tolerate the scorching heat of the sun this is the best time to view animals. 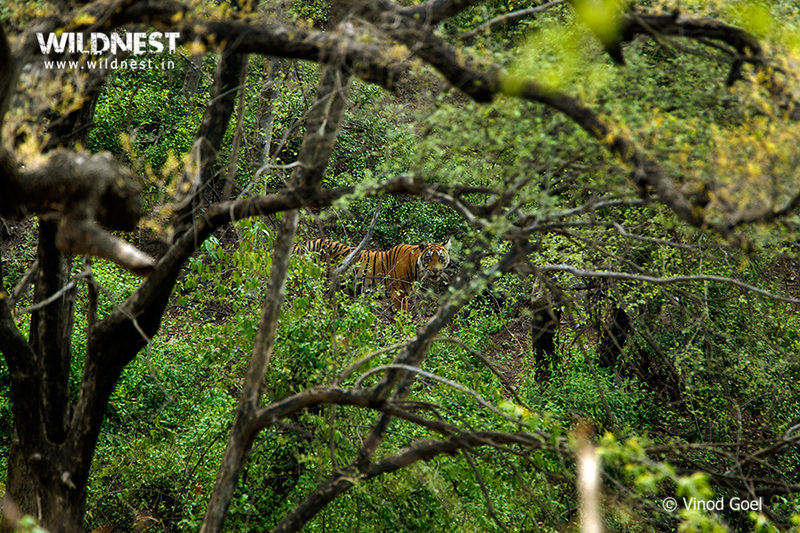 Sariska receives varying quantity of rainfall converting the arid landscape of the jungle to more luxuriant foliage. During monsoons, humidity increases making it difficult for outdoor tours. The temperatures do not see a drastic decline from summers, as there is not sufficient rainfall to reduce the temperatures. The Winter Season is chilly with an average temperature around 15 degree. Minimum temperature can go up to minus 2 degrees. Post monsoons October and November are pleasant with December and January being very cold. Therefore the travelers are recommended to carry light cotton clothes during the summer months and warm woollen clothes for the winters. Sariska Tiger Reserve is famous for being the first tiger reserve, which successfully relocated the tigers. When in 2005, all tigers were claimed to have disappeared, Wildlife Institute of India in collaboration with the Government of India and State of Rajasthan, effectively re-located five tigers from Ranthambore. The tiger population of the reserve is eleven now (as of July, 2014) – nine adults and two cubs. 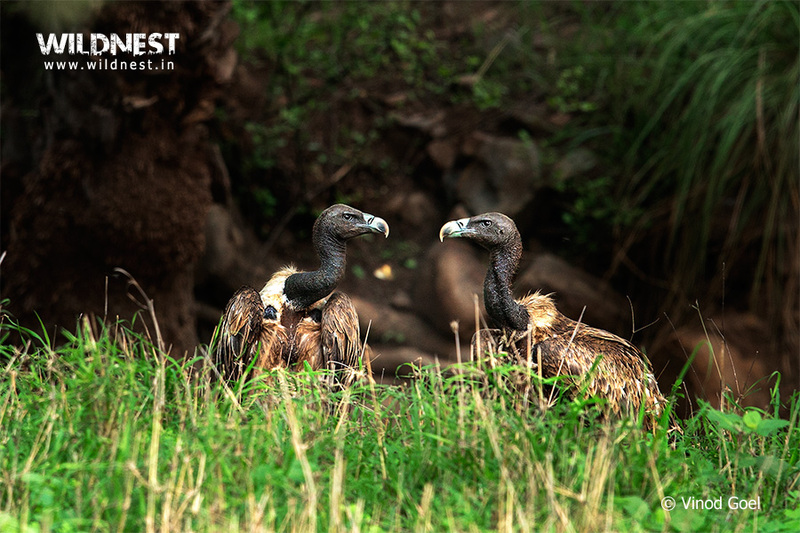 In October, just as the park reopens, the jungle mesmerizes one with its lush green color post monsoons and offers spectacular photography opportunities. During Winters(October to February) when the weather is quite comfortable one can expect to see a large number of birds (including migratory) such as demoiselle crane, ruddy shelduck etc. Behaviour of sambar deer (males) during courtship such as decoration of its body with grass & twigs, rolling into mud, rutting call for calling female deers, fighting between stags for mating rights is worth watching. Probability of a tiger sighting is also good during winters. The best time for tiger sightings in Sariska are during Summers (March to June) as there is higher probability of finding them near water bodies in which they spend more time to cool themselves from the scorching heat. For photography, lighting conditions are favorable during early morning and late evening. Sariska is known to have the highest population of peacocks (national bird of India) among all the wildlife sanctuaries or national parks in the country. It has one of the highest density of sambar deer and chital (spotted deer) too. Closest city to Sariska is Alwar, which is around 37 kms away. 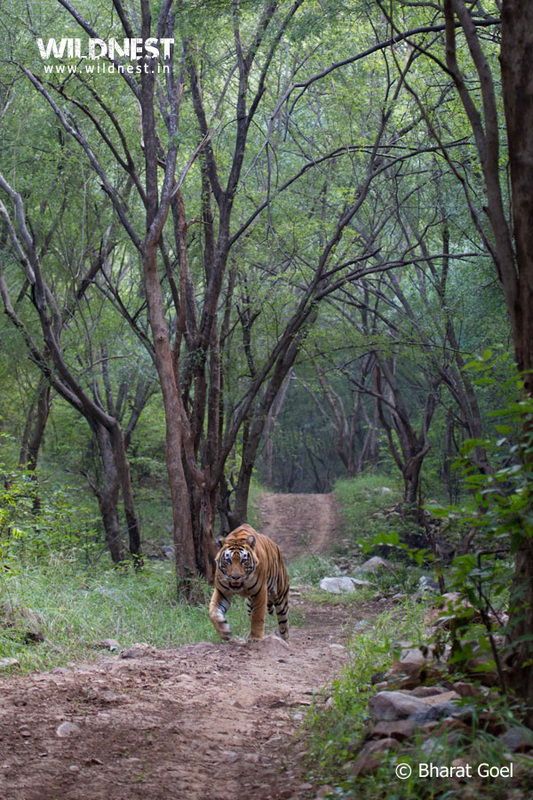 If you are travelling from Delhi, Sariska is around 200 kms whcih will take approx four hours by car. From Jaipur, it is around 107 kms via Shahpura , it will take nearly two hours. The nearest railway station is Alwar (37 kms) from Sariska Tiger Reserve. Other stations, through which Sariska can be reached, include Jaipur (110 kms) and New Delhi (195km) which is a major railway hub and is connected to many places in central and western India. The airport closest to Sariska Tiger Reserve is at Jaipur (110 kms). All major cities have flights to Jaipur. The airport at New Delhi is situated at a distance of 175 kms and has connectivity throughout India and major cities worldwide.